What we saw in Charlottesville, Virginia isn’t anything new, but simply a change in the topography of white supremacist terrorism. All that was missing: the masks and horses. Black and Brown people live under systems of white supremacy that are coded into our schools, government, and public spaces, across our culture and society. The movement to maintain harmful systems of oppression have been bolstered by an outwardly xenophobic and racist president that have positioned white supremacists groups to become fearless again. Over the past five years, Million Hoodies Movement for Justice, a human rights membership organization with 8 chapters across the country, has been committed to end the criminalization of our communities and build a world in which young Black and Brown people are safe and have the resources that keep our communities thriving. We believe that our communities should self-determine, live with human dignity, and seek access to education, healthcare, affordable housing, food, clean air and water, and freedom. We have been fighting for a society where our people should not have to live in fear or worry about violence and victimization at the hands of the state. We support the people of Charlottesville that decided to stand up against fascism, racism, and white nationalism and were subjected to the horrors of white supremacy. White supremacy is an enduring evil that has been the foundation of our country’s history with genocide and slavery, and continues to eradicate our ability to love one another and live with dignity. 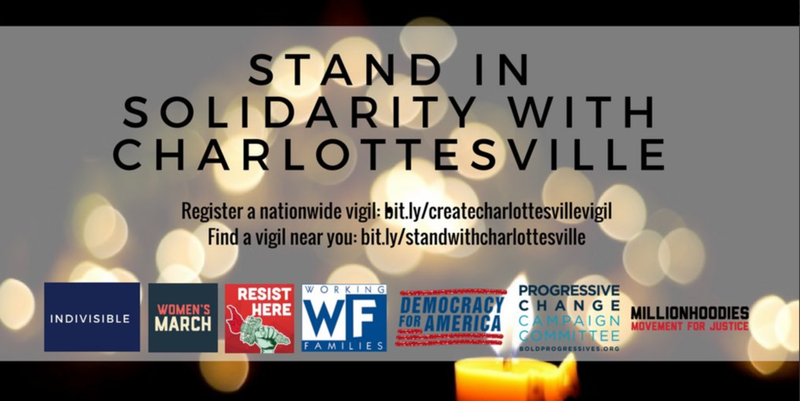 We condemn the perpetrators and we stand with the people of Charlottesville that are fighting for a world that does not exist yet — a world in which we have the right to live and be safe. Please donate to the legal fund to support the organizers on the ground and join a local vigil in your community. Now is the time for our allies against white supremacy to use their resources to take a courageous action for our collective liberation.